Back in the mid-20th century, Mahler’s symphonies were considered an acquired taste and were rarely heard. 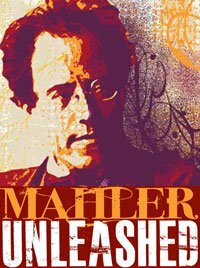 Not so now, but New England Conservatory, in highlighting its upcoming festival devoted to this Austrian composer, decided provocatively to title it “Mahler Unleashed.” The 19-concert festival, which runs through December, starts on September 26 at 5:30 with Mahler authority Gilbert Kaplan’s lecture and multimedia presentation on the original version of Mahler’s Symphony No. 1. At 8 pm, Hugh Wolf will lead the NEC Phiharmonia in its first American performance since the premiere in 1889. The program begins with Richard Strauss’s Don Juan. Mahler’s Symphony No. 1 will be performed from a reconstructed edition, based on two of the earliest manuscript sources for the symphony. The majority of the score comes from a newly discovered manuscript at the Mahler-Rosé Collection at the University of Western Ontario; it contains three movements of the originally five-movement symphony and is believed to be the earliest version of the First Symphony, premiered in Budapest in November 1889. The two movements missing from the Ontario manuscript – the Blumine and the Funeral March – are performed from their own earliest manuscript source from the Osborne collection at Yale, reflecting the second, 1893 Hamburg performance of the symphony. This performing edition has been prepared from microfilms of the manuscripts by Kristo Kondakci ’09 Prep, ’13 B.M., an NEC composition major studying with Michael Gandolfi and John Mallia. The performance opens with Richard Strauss’s tone poem Don Juan, which had its premiere the same year as the Mahler. This will be followed by a talk by Mahler scholar Dr. Katarina Markovic, Chair of NEC’s Music History and Musicology Department, who will illustrate some of the differences between the original version and the later and more familiar versions of Mahler’s First Symphony. How will your reconstruction sound different to those of us who know Mahler 1 well? The introduction of the 1st movement is significantly re-orchestrated. Among other things, the orchestra is much smaller. Also, portions of the last (the 5th and in modern performances 4th) movement are basically recomposed, and dozens of measures are deleted. In this final movement, the recapitulation is very different – there is no gradual, fugato entry of the solo viola, but instead the crash of the Finale’s introduction is brought back in a literal manner. The piece had 5 movements – the lyrical trumpet serenade “Blumine” was there in Budapest, but in later revisions got cut. And in general, throughout the Symphony, there are numerous details of orchestration and articulation redone. Do you have hopes that “your” version will coexist in the repertoire with the standard edition? That was never our objective. We don’t advocate for a resurrection of this version as a regular item in orchestral repertoires. Rather, we believe it needs to be heard and acknowledged as an important stepping stone in Mahler’s symphonic development, and it also provides unique insight into Mahler’s compositional process. What other Mahler orchestral works are played in multiple versions? His lieder exist for both orchestral and piano accompaniment versions. There are also Beethoven symphonies – with Mahler’s “retouschen” that have been performed and recorded. The First Symphony has sometimes been performed and recorded with the Blumine movement, while the Sixth Symphony of course has a different inner movement order in different conductors’ approaches. What a wonderful concert! The Kaplan’s lecture was very nice, informative, tasteful, well orchestrated. It was sufficiently stuffed with entertaining anecdotes and references to the pop culture in order to keep the person who confused Jordan Hall with Fenway Park from falling asleep, so it was vivid imaginative all together very positive experience. The concert itself was just great with NEC orchestra shine. The orchestra was superbly balanced. The balance was not only instrumental but interpretive, dynamics, phasing, volumes, colors. Everything was not too “stunning” and not too “mediocre” but rather exactly where it has to be. One might question some fragments of the work but was what it was – to play it in it ordinal non-finish manifestation was the objective, was it? Back to the NEC. What I like about their take is that they removed from the work all Mahler fashionable micro-attitudes (something that I do not like) and played the work more like it was Brahms. Some might argue that Mahler without the Mahler paranoiac Sounds is not Mahler. Well, the NEC orchestra just demonstrated that it is not the case – your do not need to be wild to demonstrate wildness of high amplitude.